I read an interesting article recently in which the author, a seasoned business consultant and attorney, referred to half of all the CEO’s out there as being “below average”. There were no studies cited, no research statistics offered, and no indication of what “average” is, was, or has been. The article offered one example of a high profile CEO who was fired three months after his initial hire date for failing to produce profits commensurate with his salary! Was this something the company did not realize when they hired him? 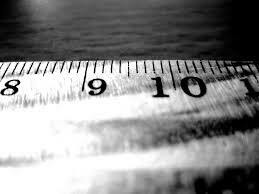 How do we measure the quality of our Chief Executive? Do we only work with those who come with a demonstrable track record of success? Do they know how to make money? Are they good with people? Do they have clear vision? Are they skilled facilitators, mentors, directors and growth mongers? Can they build a sales team, create a marketing plan and implement operational strategy? Are their values clear, is their mission strong and does their very presence in the boardroom exude integrity? If the answer to all of these questions is a resounding “YES”, you haven’t found a CEO; you’ve found Superman or Wonder Woman. I work daily with CEO’s. Lot’s of them. In fact the foundation of my consulting practice is CEO skill development and strategic planning which puts me in direct one-on-one contact with these high level power brokers. My experience often leaves me wondering why anyone would want to take on this extremely complex, thankless, unforgiving and emotionally draining task. 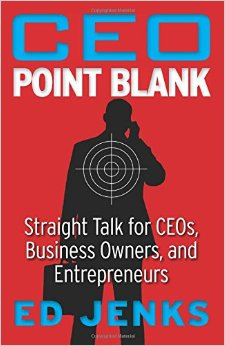 The CEO’s I know work incredibly long hours, take all the company problems home, directly answer client complaints, smooth over human resource issues, answer to profit driven BOD’s, and at the end of the day, offer everyone else the credit for company accomplishment. The CEO position is also the most tenuous position in the organization. Anyone who has been around for more than a minute knows that founding owners, managing boards and Chairman don’t make mistakes. It’s always the CEO who goes; the CEO who ultimately takes the fall or pays the price for poor company performance. So why do they do it? The CEO’s I know can’t walk in a room and not be a leader. They are driven to accomplishment, goal and task. They are deeply committed, driven to personal and organizational excellence, focused on the strategic vision of their industry and organization. Are they perfect? Not a chance. Ego driven? Absolutely. Difficult to please, often argumentative, aggressive, and in many cases abrasive to those closest to them? Yes. Should we accept this kind of behavior? No. But we also need to take the time to understand where the behavior emanates from. To cite an example, one of my clients recently took on the CEO role of a high growth, seemingly successful $50 million dollar manufacturing company. Once inside, she realized that the reason the profits were so outstanding is that the previous owners had never provided for the appropriate infrastructure to maintain quality in production. When my client recommended a major and costly reorganization to support quality in their process the Board of Directors began to second guess their choice for CEO. Couple this with the normal fair of several employee related legal claims against previous management, a management team in transition, a cash flow shortage and yes, you may be dealing with someone whose fuse is pretty short. While the tender of success in the workplace is measured in dollars I find it hard to judge a CEO negatively simply because they negotiate the strongest personal compensation package possible. I often ask skeptics a simple question when I am queried about the validity of a client’s compensation package; “Compared to what?” Even professional compensation specialists have a difficult time agreeing on CEO compensation as the points of reference are as varied as the individual needs of the organization. I want to be clear that I am not condoning poor performance nor am I suggesting that there are not compensation plans out there that cross into the land of absurdity. I am saying that we need to take a long hard look at the men and women who have the courage to take on these high profile positions. Hopefully when we do, we will see leaders we can be proud to follow, leaders we can trust to do the right thing, and leaders that will promote the health and well being of American business. Sharon Jenks is CEO of The Jenks Group Inc., a California Consulting Company that specializes in strategic planning and executive development. She can be reached at http://www.thejenksgroup.com. How does it feel when you’re told that you need a coach, whether it’s your boss or someone else? For many managers it feels like a kick in the gut, a clear sign that you’re doing something wrong and your job might be in trouble. For others, who might be resistant to coaching in general, it raises questions about whether you really need the extra help. The first step is to recognize coaching for what it is: a fantastic opportunity for growth, development, self-insight, and career progression – and an endorsement that the company is willing to invest in you. After all, there are a number of reasons why your boss might want you to be coached, and some are quite positive. Your manager might think you have a great deal of potential and a coach would help you develop it. Your boss might also suggest coaching to fix a particular skill deficit. One of my clients, for example, was asked to work with a coach specifically to focus on presentation skills. Her senior manager planned to give her more exposure to the Board but wanted to make sure she had the confidence and capability to hold her own in that setting. There are of course situations where coaching is given to a manager because of a performance issue – an inability to deliver certain results, poor project execution, or not getting along with other members of the team. But even in these cases, coaching is an investment, not a punishment. The boss isn’t giving up on you. The second step is to understand the nature of your resistance or hesitation. Are you opposed to being coached because you’re not sure what you should focus on? Or because you don’t really understand what’s involved in the process? If these are your concerns, take control of the coaching process. 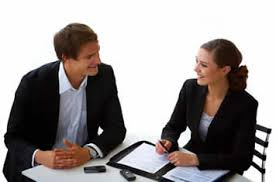 Interview the potential coach (if it’s not going to be your boss) and make sure that there’s good chemistry between you two; if not, find someone else. Set clear goals with the coach about what you want to accomplish and how she can be helpful. Engage your boss in regular progress reviews so you get feedback about how you’re doing, and establish a time frame for the coaching (and the achievement of progress) so that it’s not an open-ended relationship. In other words, take the ownership away from your boss and make the coaching experience something that belongs to you. You can also talk to colleagues and friends who have worked with a coach and get a sense of their experience. Each of these might be a legitimate reason for not wanting to work with a coach. But before you try and make your case, ask your boss why she recommended coaching in the first place. If there are skills she wants you to work on, ask if she would be open to you pursuing a different development approach. For example, you could take a course, or tackle a stretch assignment, or pick up some new responsibilities. If time is an issue, negotiate a development schedule that works for you – or suggest a better time of the year to do the coaching, based on the rhythms of your workplace. In the end, if your boss still thinks coaching is the best option for you, put aside your resistance and make the most of it. Use it as an opportunity to get more feedback from your boss, and from your subordinates and colleagues as well. Everyone has something to learn, no matter how successful they’ve been in the past and how much potential they have for the future. That’s not to say that coaching is the magic key to success for every manager, but it’s a tool that may be useful and shouldn’t be dismissed out of hand. The bottom line is to remember that coaching is an investment – and the more you put into it, the greater the chance that you (and your company) will get a positive return. The 2000s, in my opinion, have been the most trying and difficult times C-suite executives have ever faced in American history—even tougher than the Great Depression. Not only do we have a tougher business climate, we are faced with bigger competitors—global competitors that do not operate under the same set of rules as we do in the United States. The idea that globally things are “fair and even” and “may the best-managed company win” are concepts and beliefs shared by no one I know. The global economy and unfair competitive practices aside, we continue to legislate and regulate ourselves internally to the point where we spend the majority of time wallowing around trying to create some kind of competitive advantage out of thin air. I spend a lot of time thinking about exactly what happened to us as a country post World War II when we were filled with hope and confidence that when all else failed, we could outwork you. I see great companies struggle with trying to find production efficiencies while their foreign competitors are allowed to flow products into the American market unchecked and unregulated. I must admit to being part of the problem. Here’s why. Post World War II, our economy was made up primarily of family businesses that covered the range of our needs from food to clothing, transportation, and manufacturing craftsmanship. Family businesses were passed down from generation to generation with the “secret sauce” that made the products or services unique to the region or geography they served. You knew where your food came from, where your clothes were made, and you even knew the name of the family that made your car. Our returning hero’s average age was twenty-six and many were returning to the family business, or turning to trades they had learned while in the military. They were received into the workplace with open arms and the country was ready to step on the gas, fueling the largest generation of consumers the United States was ever to see. The returning veterans were schooled in the family businesses and the discipline it took to operate them. They were charged with learning the tasks and craftsmanship of their trade because their mission was to protect the family homestead and their families relied on them. Those that had new talents put them to use, still with the idea of making America stronger and their lives better. The results speak for themselves. Some of the strongest financial years in America were from 1945 through 1965. And then things got tweaked. Our foreign policy became unpopular. The average age of an infantryman in Vietnam was twenty-two. Our youth (I was one of them) rebelled against everything that even resembled someone telling us what to do. Belonging to anything was frowned upon. I remember being at college one fall and seeing a group of guys spray painting a sign over a fraternity house door that said, “It’s wrong to belong.” We had begun to question everything, believe in nothing but freedom—whatever that was—and reject the foundational pillars that had given us the best economic conditions in the history of the world with the highest standard of living yet to be experienced. It took a few years for the rebellious students of the 1960s and 1970s to get around to work, as most of us went to college, and many on the six-year plan. As we began to assume positions of authority, we slowly began to bring our rebellious nature to the workplace: We threw out tradition. We didn’t need to wear a stinking tie–we worked better in flip-flops. We worked in cubicles because offices created “silos.” I remember listening with rapt attention to one of the long-haired business gurus of the time with a primetime audience tell us to break down the silos, that big oil was making too much money, and the banks were ripping us off. He had all the answers. Get your people a meditation room–that’s what attracts the real talent. We all drank that Kool-Aid and we changed the face of American business just as we had changed the face of American culture fifteen years prior. The results speak for themselves. Please understand that I am not accusing, because I was part of that movement and I was a leader at the C-suite level. As I look back at my career, I always felt like something was missing. No matter my success, I always felt a bit hollow. I think back on my college days and wonder why I didn’t buck the trend and rush that fraternity. We had all lost our business discipline. I could make money; that was the easy part. But I couldn’t control my attitude and approach to anything that resembled authority and control, and believe me, I wasn’t alone. Everyone was stupid, no one could keep up with me, and I wanted to run ahead of them and demand they keep up with me. Rules were for other people, not for me. I was so good at the money-making part that most of the time, people would leave me alone because they knew inherently that they were better off for me running off like a mad man and putting money in their pockets. I am sixty years old, and though I’ve lived life well I am still discovering and facing the truth about myself and looking to be better for it. I want to be the person who finds a way to get through to other C-suite executives and prove to them that silos work, we can be competitive globally, it is okay to be a leader, and that the single greatest gift you can bring to an organization is discipline: order overlaid with a huge dose of forgiveness. If we are to bring our economy back to any level of dominance, we must be disciplined in our approach and willing to subjugate ourselves to our mission. – Ed Jenks is Senior Consultant and Chief Strategist of The Jenks Group, Inc. is a well-known and nationally recognized business professional with more than twenty-five years as a C-Suite Executive. If you could spend an hour with the next person to hold your current job, how could you use the time most effectively? What information (public or private) could you pass along to make the transition easier for your successor? What reports and other reading materials would you provide? 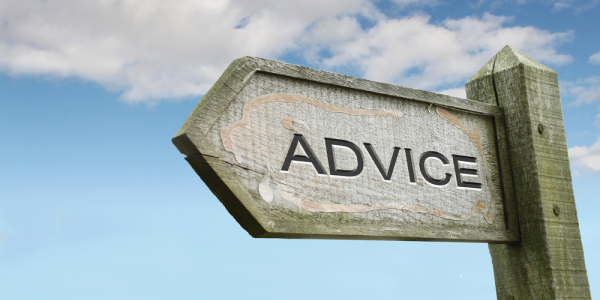 What advice would you give about the best ways to deal with your boss……senior management in general…your key associates….your subordinates? What insider’s viewpoints could you give regarding the secret of how things really get done in your current organization, and how to watch out for pitfalls along the way? Don’t you wish there were someone in your new organization who could do the same for you? information which your boss would prefer to withhold until you’ve officially joined the organization. As you begin the systematic transition to your new job you’ll think of many kinds of information that can give you a head-start. The following list gives some basic data; you should be able to think of other items that will contribute to your Pre-Start education. Corporate and divisional publications including product/service brochures; catalogs and price lists; recent speeches by members of top management; capabilities presentations and scripts; recent “new business” proposals. Plans and budgets that affect your job including descriptions of all projects and programs; dollar allocations per project; deadlines; staff allocations and time devoted to each area. Departmental organization including position descriptions for all employees; recent performance appraisals of key people; detailed salary/bonus report for the current period; property and equipment assigned to your care; inventory reports; etc. Position description including specific responsibilities, standards and deadlines; criteria for successful accomplishments of duties; salary history and position in pay grade; etc. History of your predecessor including appraisals of performance and results; reasons for past successes and failures; areas of management satisfaction and dissatisfaction with working methods or results. Now that your imagination is stimulated, think of other materials or information you’d like to review before your scheduled start date. Since your contacts in the new organization are limited, your present sources of information are few: your boss, the Human Resources, your predecessor (if he/she is reachable and willing) and, possible, one or more members of your staff. With this request you’re beginning a series of meetings with your boss – essential planning and “no surprises” sessions that will extend over the next three to six months. It’s important that each of you obtain the results you’re looking for. Especially with this advance meeting, the purpose and agenda should be clearly spelled out between the two of you. Faced with many other problems – including the need to take a more active role in you new function until your arrival – your boss may not feel an advance meeting is necessary or practical. You may hear something like “Oh, don’t worry about it. You just get yourself here, and we’ll get started once you’re on board.” Still, it’s your responsibility to see that the meeting takes place now, so that you can clarify your roles ahead of time and control your entry into the new job. (perhaps) to meet some of the people you’ll be working with in your job. Of course, there are some additional benefits for YOU in having this advance meeting. Your fear of the unknown will be reduced as you obtain clarification of some of your questions. Your employees will be able to “put a face with the name” if you get the chance to meet them briefly. And you will appear to be a prepared, clear-thinking professional to people at various levels within the organization. The “First Meeting With Your Boss” checklist contains many subjects you’ll want to cover before joining the team on a full-time basis. Use it as a guide, deleting those items that do not fit your situation and adding whatever special issues you’d like to discuss with your new boss. Use the following outline to structure the first meeting. Check each item that applies to your situation, and make personal notes. 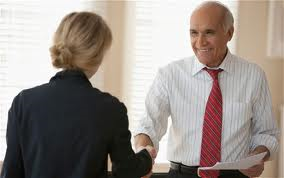 Schedule a meeting with your boss as soon as possible after accepting the job offer. Send a confirming memo to highlight the subjects to be discussed. Review current projects and problems that will demand your immediate attention. Ask your boss for a capsule summary of recent performance regarding your function. Ask for a candid evaluation of current strengths and weaknesses in the function, including areas that need priority attention. Request and collect all information and materials as outlined earlier. Along with available personnel records, make a list of all performance/salary reviews due in the next six months. Clarify any remaining questions about your salary or bonus structure. Ask for a general idea of your boss’ expectations for performance from you in the coming months. Learn what resources are available to help you meet those expectations, including your authority to make changes in staff, time allocations, or deployment of resources. Discuss your boss’ criteria and methods for evaluating your performance. Ask your boss whether he/she perceives the need for training or development programs among your future employees. Make sure you understand the extent of your authority to operate independently during your first months on the job. Ask for some guidance on your boss’ level of involvement during the first few months (inform, review, decision, approval, etc.). Find out your boss’ preferences for progress reports (formal or informal) and desired timing. Is it possible for you to meet your predecessor for a discussion of his/her experience in the job? How does your boss plan to handle the announcement of your appointment to the job, and initial introductions to employees, associates or others? What other issues would your boss care to raise at this meeting? Sharon Jenks, CEO/President The Jenks Group, Inc.
—It’s not easy to get, and hold, the attention of a busy executive. But the Jenks Groups, Inc. (TJGI), a boutique strategic services consulting firm in Solana Beach, CA, has developed a program that’s hard to ignore: they employ US Navy SEALs—and weapons—to educate and sharpen the tactical skills of senior executives. In a one-of-a-kind experience called “Strategic Operations Skills Training” (S.O.S.T.™), seasoned executives participate in physically and mentally challenging exercises that provide them with a fresh outlook and renewed traction toward achieving their corporate goals. Four years in the making, The Jenks Group’s program uses a realistic battlefield on a San Diego TV/movie studio lot to instill six “game-changing” skills into an executive’s arsenal. State-of-the-art Hollywood special effects heighten the experience for S.O.S.T. participants. The S.O.S.T. program may not be for everyone. The training manual warns that it’s “an aggressive, experiential exercise that can carry some bumps and bruises along the learning path not to mention incredibly fun.” But for those executives seeking to drive their management team’s performance, The Jenks Group and a few US Navy SEALs have some game-changing ammunition. 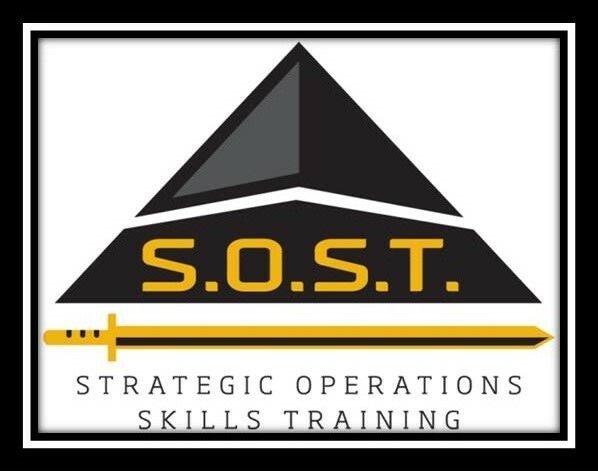 S.O.S.T.™ is an experiential educational program designed to train executive teams in six “game-changing” hard skills. The program runs over one or two days and those days may be split over the course of three to six months. Each skill builds on the last and increases in intensity as the physical, intellectual, emotional and sometimes spiritual challenges become more apparent. Skills learned in field exercises are subsequently debriefed in the classroom for takeaway traction back to the executive suite. The program can be scaled for relevancy and specificity to divisional areas, and can be tailored to meet the needs and expectations unique to each organization. For more information, please visit www.sosttraining.com. Most managers and supervisors know that the single greatest disappointment employees suffer in the workplace is the feeling that their hard work and effort goes unnoticed. 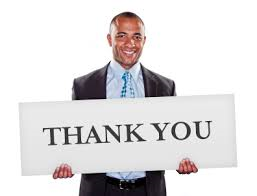 What most managers and supervisors don’t know is that the second greatest disappointment employees have is insincere or inappropriately applied recognition! Does it seem to you that sometimes you can’t win?! The fact is you can all win, and here is how you do it. First, you need to train yourself to constantly be on the look out for someone doing something right. As managers, we typically spend way too much time dealing with hot spots or trouble issues. Believe it or not, you have to develop the habit of seeking the good work that’s being done all around you. Second, take time to visit with your staff when there is not a crisis or a problem to deal with. Sometimes a quick five minute meeting just to say Hi and let everyone know that they are OK is worth its weight in gold. If the only time you get together is when something is wrong, how excited are your people when you call a meeting or when they interact with you? The development of non-crisis interaction time is critical to team development and positive employee moral. Be timely. After a few weeks the accomplishment is forgotten. Be specific to something the employee accomplished, a task or goal completed. Acknowledge the effort it took to complete the goal. Address personally the benefits you and the company received as a direct result of this effort. One of the first things I look for in a President or CEO is how well they know, and then acknowledge, their employees efforts and tasks. A Chief Executive who can not only recognize an employee by name but also by task and accomplishment, well…, that’s a keeper. Consider this idea in forming a positive habit. We spend more daylight hours at our workplace than with our families and friends so it is reasonable to assume that we should do all we can to make our work environment as pleasant as possible. The Power Thank You is one way to support this philosophy.